This was a follow up to The Subway Etiquette campaign. 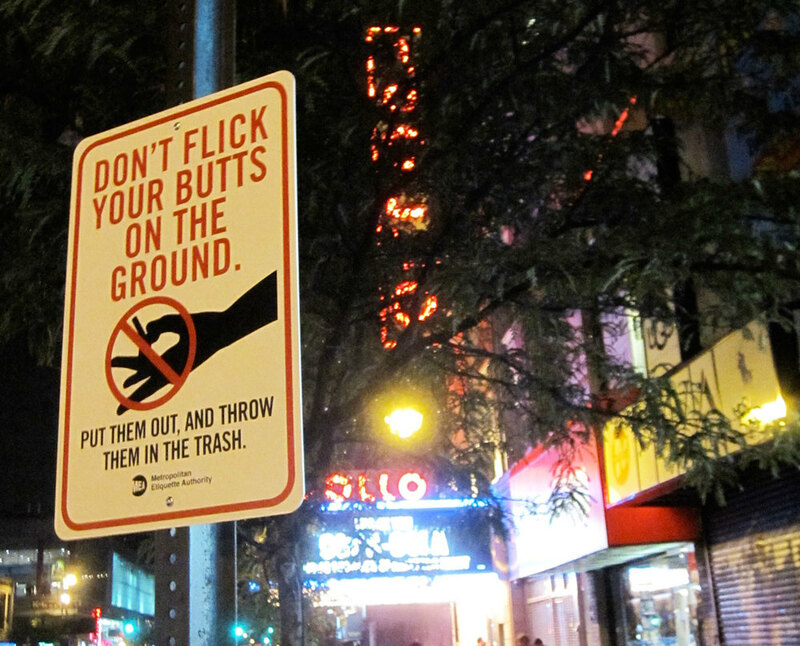 The idea was to bring some of the rules for public behavior above ground by once again adopting municipal signage as the vehicle to get the message out. 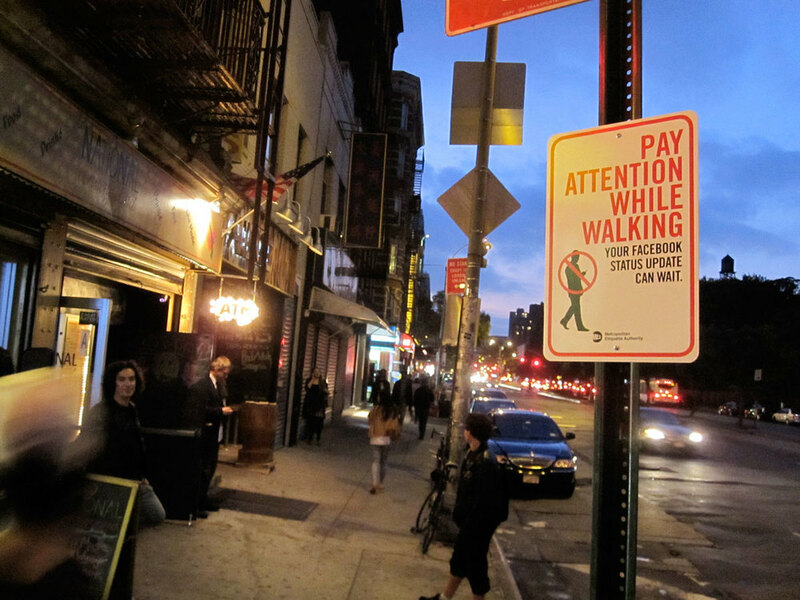 Over 50 industrial aluminum street signs were installed in Manhattan and Brooklyn over the course of one week. I have a new batch cooking now and plan on installing them early 2015. News 12 Brooklyn with Stephanie Ramirez.